Google has newly Launched Android Device Manager which enable us to Link your Google account with your Android Device So that we can easily track your android mobile Location and also you can give ring to your phone because many times we don’t remember where we have kept your phone hence we can easily give ring our phone and can find it. For this you need to Download Android Device Manager from Google play store and install it on your Android phone. STEP 1:- Login to your Google Play Account on your Phone and PC. 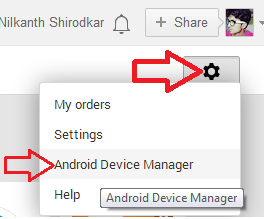 STEP 2:- Now Click Here to go to Android Device Manager or Go to Google Play and Click on Setting –> Android Device Manager. STEP 3:- Now Download Google Settings from Google play store and install it on your Android phone. If your are having then Open it. 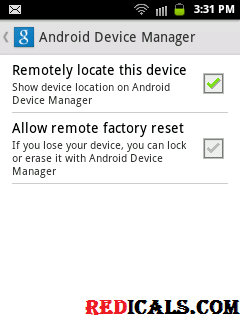 STEP 4:- Go to Android Device Manager and Enable Remotely Locate this device & Allow Remote Factory reset . STEP 5:- Now on Browser Click on Locate this Device and it will start searching the location of your Mobile. 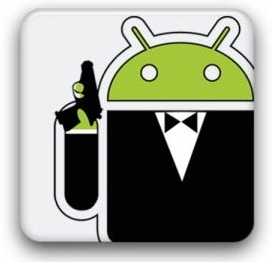 Now You have successfully activated Android Device Manager on your android Phone. Now you can easily Track your Phone, Ring it or Erase your android phone if you have any personal Data. If you enjoyed the content please share it with your friends and followers.